Kraus & Naimer's extensive range of rotary cam switches means there is a solution for most cam switch applications, they are available in various contact designs, contact materials and terminals. High Capacity Cam Switches are built to meet international and Australian Standards Ideal for use as control switchgears, instrumentation switchgears, automotive switches, electronic circuitries and fingers 10A to 2400A Suitable for vertical or horizontal wiring access Variety of mountings for ease and speed of installationReliable switching in industrial environmentsL-Series Cam Switches 350A to 2400A Continuous current rated for off load switching Designed for switching of resistive or low inductive loadsC-Series Cam Switches Classic cam switch Models for all current ratingsCA-Series Cam Switches Fingerproof terminals, accessible horizontally or vertically Captive plus minus screws and integrated screwdriver guides 10A to 32A Part of range specifically suited to low voltage applications, down to switching of electronic signals with gold plated contacts for reliability under adverse environmental conditionsCL-Series Cam Switches Insulation stripping/prep not required if insulation displacement connection used Terminals are stainless and acid resistantAvailable through Kraus & Naimer rotary cam switches meet international and Australian standards with the highest international reputation for excellence. Download the PDF brochure for more information. 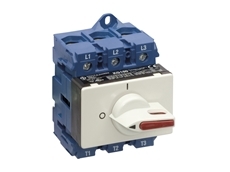 Kraus & Naimer's KG Series isolating switches can be used as off/on or changeover switches. 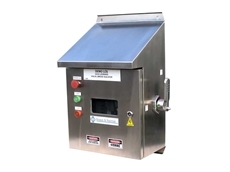 When coupled with the range of standard and custom built enclosures, the KG isolating switch is the perfect solution to special needs or aggressive environments. Compact and modular Isolating Switches Power ratings for every application Two different design variants Unusually large isolation distances between open contacts for maximum safety Forced opening and closing main contacts are standard Designed for maximum safety with unusually large isolation distances between open contacts Terminals in the same plane and in line with connecting wires or bus bars On/off switches are available with three to eight poles, double throw switches with three or four poles and a special version for applications in motor control centers is availableKG Series Isolating Switches up to 160A Fingerproof Terminals Integrated screwdriver guide for the use of motorised screwdrivers Integrated snap on feature for DIN rails on base mounted switchesOptional ExtrasThe KG Series isolating switchgears from Kraus & Naimer comes with many optional extras including shaft extensions, door clutches, neutral and ground terminals, eight auxiliary contacts, terminal covers and various locking devices.Available through Kraus & Naimer KG isolating switches meet international and Australian standards with the highest international reputation for excellence. 04/03/18 - Kraus & Naimer has the solution for most switchboard, switchgear and enclosure requirements. 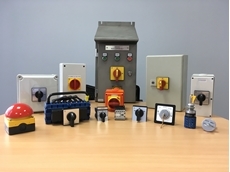 We have a wide range of control and changeover switches, load break isolators, power switches, enclosures(plastic, metal & 316 stainless steel), buttons, lights and contactors (including thermal overloads).Kraus & Naimer’s systems and switches meet the most stringent of international and Australian specifications and standards. Current models have been tested and meet MIL Standard shock and vibration requirements.Kraus & Naimer switches are suitable for applications from PLC control circuits through to general control and instrumentation to power changeover, PV Solar Disconnectors, UPS bypass, motor control, power safety isolation and local control stations. 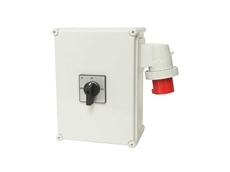 Switches are available in standard or special configuration at short notice, with a number of options including contactors & overloads, pushbuttons, pilot lights, terminals, wiring and enclosures (plastic, metal & 316 stainless steel).Kraus & Naimer switches are widely utilised in markets such as Infrastructure (Rail, Power, Water), Mining (Coal, Gold, Copper, Diamond), Food & Beverage Industry (Dairy, Sugar, Breweries), Clean Energy (PV Solar, Wind Farms, Ethanol), Marine (Domestic, Commercial & Navy) and the special lock market. They have also developed many industry specific solutions to meet their clients’ existing and emerging needs. Renowned for product and service excellence, Kraus & Naimer (AUS) has been proudly serving Australian Industry since 1959. 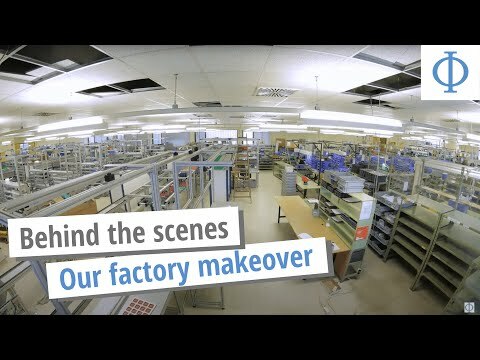 Kraus & Naimer in Australia are part of the industry leading global Kraus & Naimer Group, whose worldwide sales and manufacturing sites produce in excess of four million switches each year. 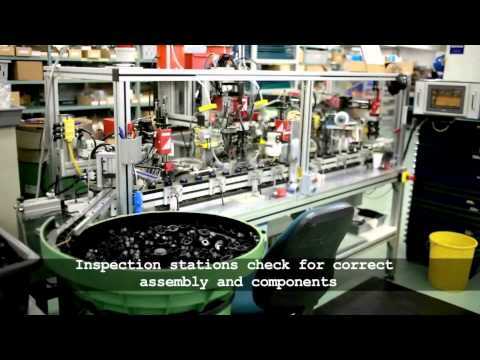 Kraus & Naimer (AUS) products are mostly Australian or New Zealand manufactured and assembled for the Australian market. This combines the benefit of local content and production, and facilitates the prompt supply of orders. Kraus & Naimer customers are supported by dedicated and professional staff in assembly, sales and service facilities across the nation. Technical information and catalogues are available on request. For further information, please contact Kraus & Naimer on Free call 1800 567 948, salesaus@krausnaimer.com or visit their website at www.krausnaimer.com.au. 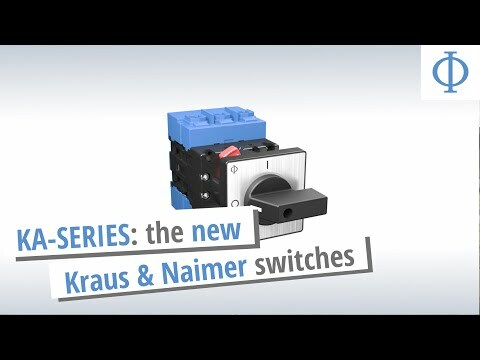 14/03/16 - Kraus & Naimer offers a range of open and enclosed changeover and source selection switches designed to suit most applications including enclosed Mains – Off – Gen switches with appliance inlet.Displaying excellent performance characteristics, the switches exceed the requirements of IEC 60947-3 with positive contact movement during making and breaking functions. 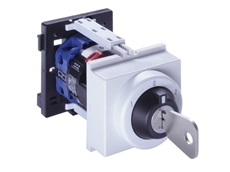 The switches have superior AC-3 and AC-23 making and breaking capabilities and higher dimensioned air and creepage distances for 690 V or 1000 V providing additional safety advantages. 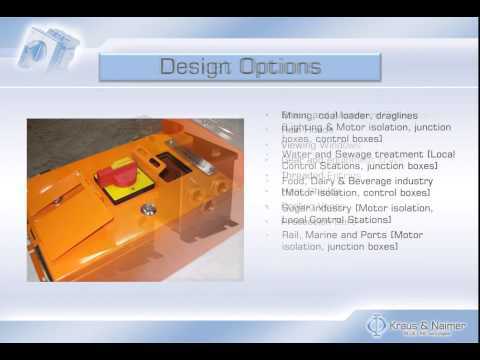 The flexibility and versatility of Kraus & Naimer’s proven line of changeover switches can be enhanced with accessories such as gold or silver auxiliary contacts, late break early make neutral contact, base or panel mounting, door clutches, extension shafts, interlocks, pad lockable devices and an extensive range of stainless steel, metal or plastic enclosures. 29/09/15 - Kraus & Naimer announces the launch of a new range of local control stations/ visible break isolators from 63A to 800A.The new visible contact break isolators are designed to be fitted into an IP66, 316 marine grade stainless steel enclosure featuring No. 4 finish as standard, an IP66 safety laminated glass viewing window and a sloped roof extending over the door. Key features of the new visible contact break isolators include choice of isolator brand - Legrand (63A to 800A) or ABB (200A to 800A); polyurethane pour-in-place gaskets (non-memory); stainless steel front or side mount handle; robust stainless steel hinges and locks; mild steel 2mm white base plate; panel construction 1.5mm (optional 2mm); and LHS hinged door. 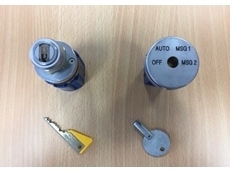 Options available for the new visible contact break isolators include pushbuttons, terminals and control switches; isolator auxiliary contacts; wired to terminals; labelling to site standards; double door; powder coated finish; brass gland plates 3mm or 6mm or alloy 4mm; and pushbutton activated internal 24VDC LEDs for contact visibility.